Reindeer. 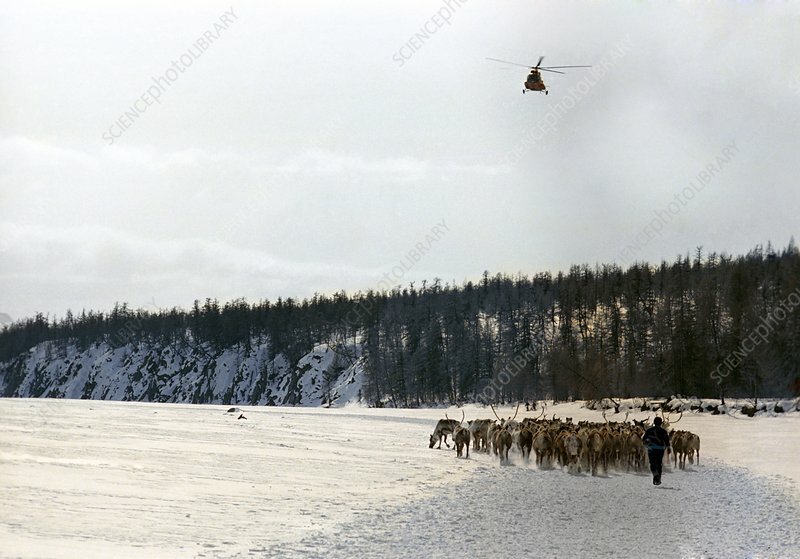 A herd of reindeer (Rangifer tarandus) in snow-covered fields. A helicopter is seen flying overhead. Reindeer are a semi-domesticated species used for their meat, milk, skins and for transportation. Photographed in Yakutia, a region of north-eastern Russia.